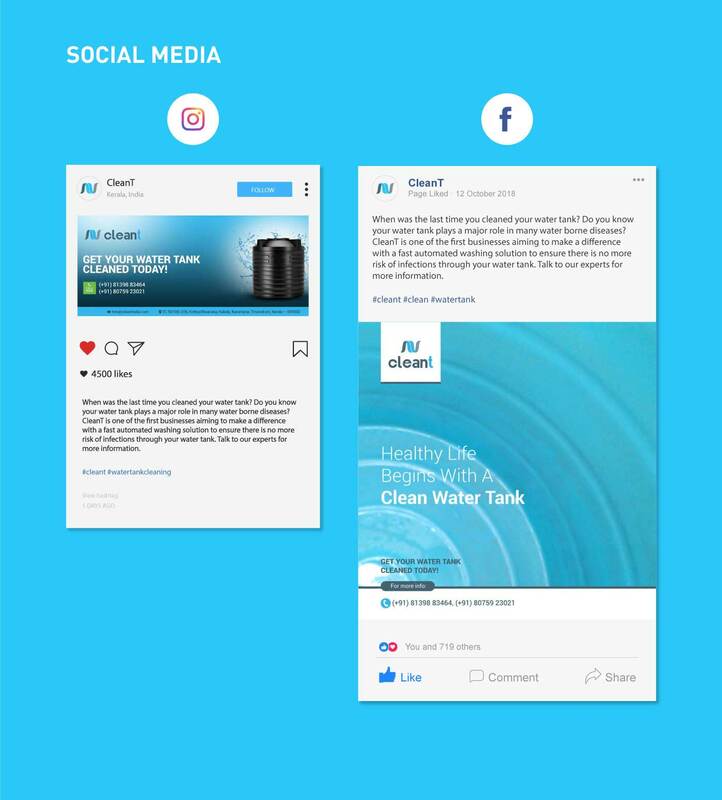 CleanT is the first ever automated water tank cleaning solutions provider in Trivandrum. Small scale enterprise with large ambitions and fast growing to become one of the most sought after brands in Trivandrum in a very short period of time. Since the service is aimed at both commercial organizations and household water tanks, creating the right brand identity seemed to be a challenge at first. However, the concept of clean drinking water remains the same need for both corporate and individuals, hence we were able to strike the right chord.